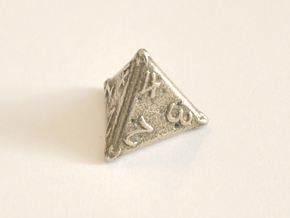 The elven druid, Belladonna, pulled her robe tighter around her and mutter the incantation under her breath. 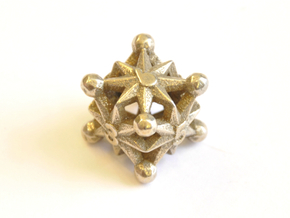 The constellation on the front of her 'Robe of Stars' began to glimmer, right before she vanished into the Astral Plane. 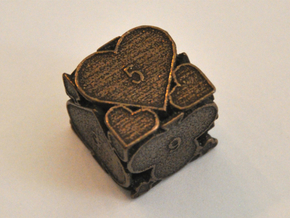 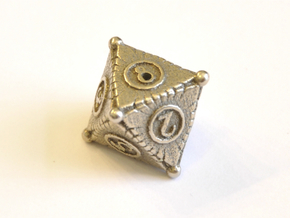 This die is perfect for the astronomer of your adventuring party. 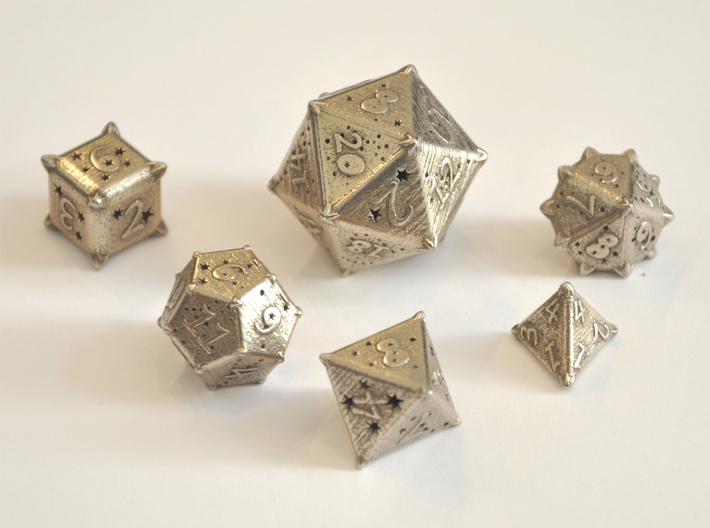 This is the complete set of my 'Constellations' design family of dice.It is mathematically balanced in CAD software design to ensure that the dice is centered and fair. 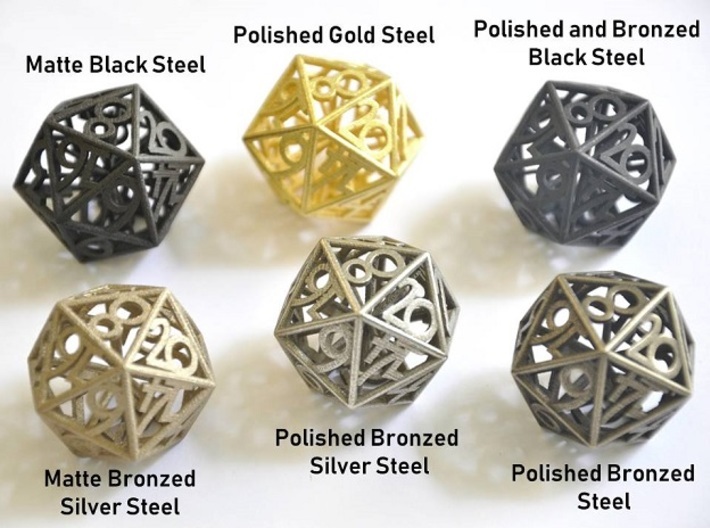 Care has been taken to minimize points and corners; however, it is recommended that all metal-printed dice be rolled in a dice tray or on a surface such as a notebook. 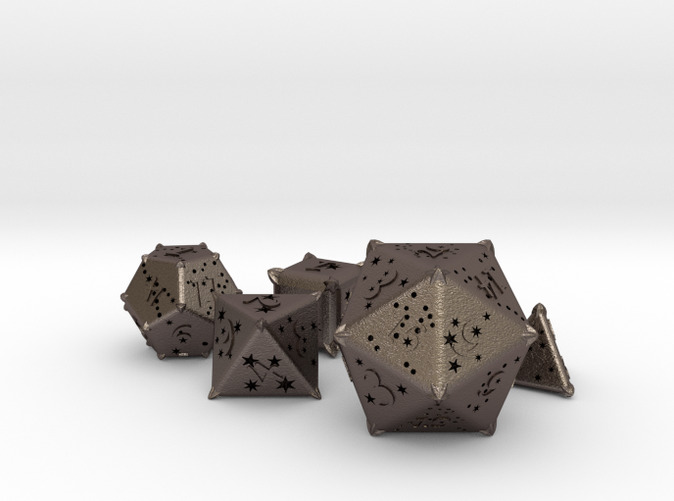 Damage may occur to wooden tables.For the individual dice in this design set, take a look at the 'Constellations' category in my shop. 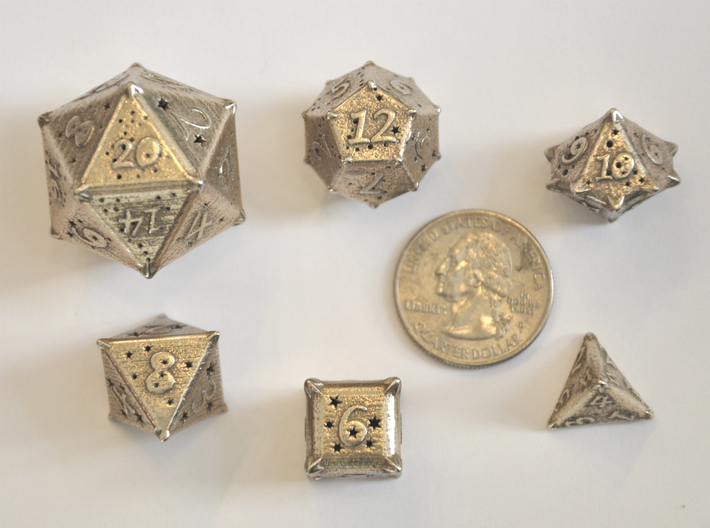 However, the complete set is priced lower than the individual dice.